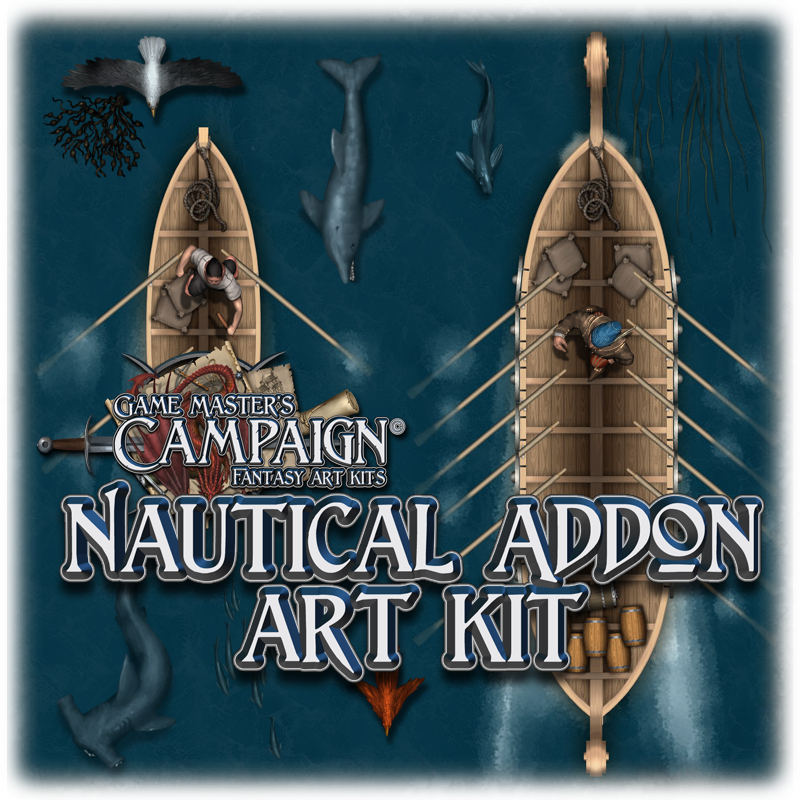 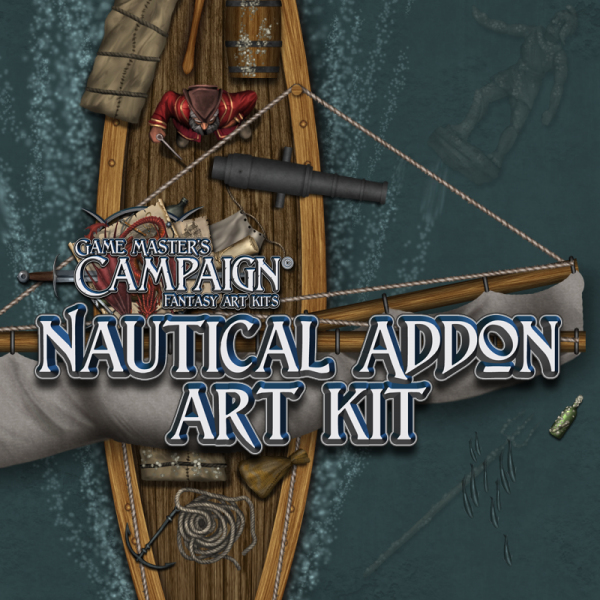 The GMC Nautical addon art kit provides you with a lot of new tiles, tokens, characters, items & objects related to the sea and water. Dish out maps with beaches, oceans, ships, sailors, pirates and more. 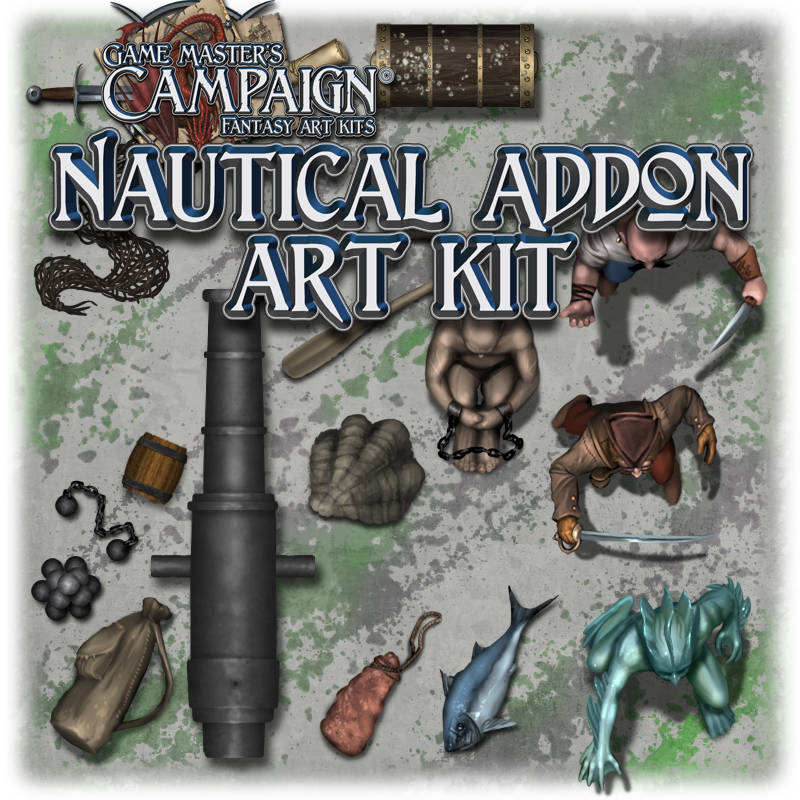 This purchase is for a digital download of several images, approximate size is 238 Mb in a zipped file.